Let me begin by wishing you Compliments of the Season! The health food scenario evolves every year, with some trends becoming part of our daily diet, whilst others just being passing fads. 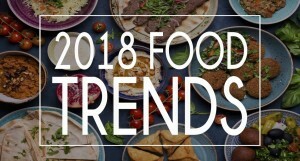 Whether your goal was to lower risk of ailments, boost your overall wellbeing, or make mindful eating a priority, you would have undoubtedly run into some of 2018’s principal healthy food trends. So here’s a quick recap of what we relished while sailing through the food culture this year. Plant-based diet became increasingly popular, with an increase in the number of people turning Vegan, due to various reasons including health, ethics and the environment. In fact, a lot of meat eater turned towards a “Flexitarian diet” eating meat or fish occasionally, while primarily focusing on a Vegetarian diet. 2. Meat- Free Zone: Getting inspired by Vegans, Manufacturers started to offer meat-free options to those limiting meat products, or vegan lifestyle. Though one cannot match up to the protein intake of Meats, they almost gave their best to resemble the chewy consistency, flavours, and a convenient on-the-go snack option. Heart-healthy fats like olives, walnuts and avocados were immensely popular last year and continued to have the same place in everybody’s kitchen this year too. These healthy fats increase the chances to attain weight loss goals and let you stay fuller for longer. 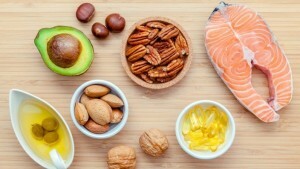 Keeping in mind, the health benefits of healthy fats and consciousness among people, it was one of the key trends of the year. 4. Medicinal Foods: In recent years, probiotics have been able to make a strong impression in the health world. Things such as Sauerkraut, and Kimchi, together with other picked vegetables became even more popular as more and more people wanted to rejuvenate their body from the very root of the system- The Stomach. 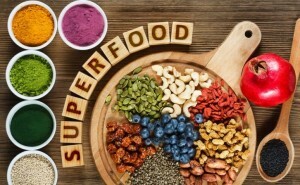 Superfoods have in hitting everyone’s kitchen this year as it healthy and super easy option to be added to any dish. 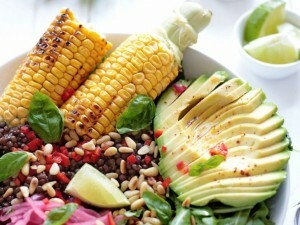 Flaxseeds, chia seeds, matcha powder was seen added in healthy shakes and salads. The year 2018 is full proof to state that Flowers is not only for Valentine’s Day, but it also has some immersing health benefits too. 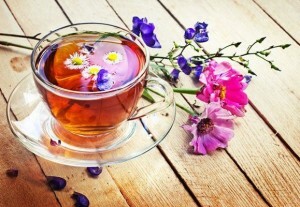 Whether Lavender lattes or Hibiscus Teas, floral notes bloomed the evenings for many of us. 7. Golden Milk: If the year 2018 was a colour, it would surely be Golden….or at least if it is the colour of the milk. Also known as Turmeric Tea or Golden Milk has been traced back to the ancient Ayurvedic Times to treat many ailments, and often a combo of turmeric, pepper, coconut oil or milk. Navnee Garg, a clinical nutritionist by profession is experienced in efficiently tackling issues such as weight management, diabetes, thyroid, stress eating, child nutrition, pregnancy and lactation, renal diseases etc. She works to understand the minutest details of all her players so as to be able to customize their health goals as per their body types. Her ultimate goal is to help her players achieve a healthy lifestyle and fitness lifelong. Her own health Mantra is ‘Being healthy... isn't a goal, it is a way of living'.